OPC for Amberley is : Nobody yet! Why don't you volunteer? Amberley is situated at the foot of the South Downs and the village is noted for its many thatched cottages. There is also a castle, although it is actually a fortified manor house next to the Norman parish church dedicated to St Michael. The castle is today a hotel. The village has a railway station, on the Arun Valley line, with services to Bognor Regis, Portsmouth and London. The artist Edward Stott lived in Amberley from 1889 until his death in 1918. His monument is the largest in the churchyard and has a bust on the top carved by the sculptor Francis Wood. Wood's grave is nearby, marked with one of his own works. The church contains 12th or 13th century wall paintings depicting scenes from the Passion of Christ. 722 individuals in the OPC Database for the 1841 census. 486 individuals in the OPC Database for the 1851 census. 19 individuals in the OPC Database for the 1871 census. 13 individuals in the OPC Database for the 1881 census. 27 individuals in the OPC Database for the 1891 census. Grid reference: 503026, 113247 ~ View on: Google Maps, Open Street Map, Streetmap, National Library of Scotland Map or Oldmaps. The OPC database contains 6 poll register entries for people entitled to vote in this parish. There are 78 protestation returns for this parish in the OPC database. There are 79 images depicting this parish in the OPC database. 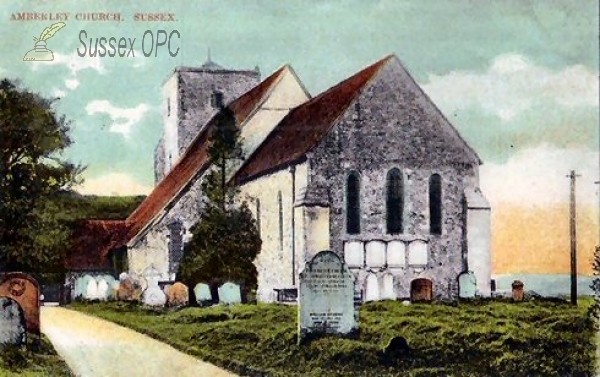 There are 8 articles about this parish in the OPC Sussex Archeaological Collections Index. 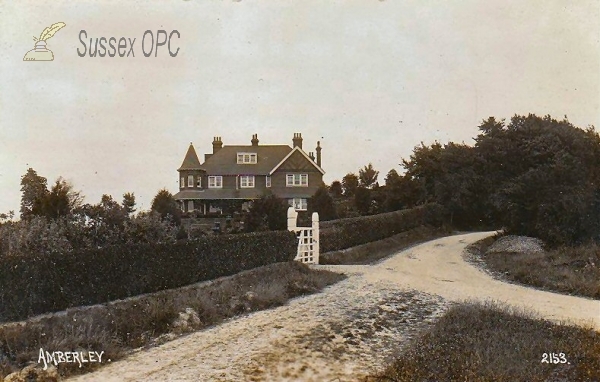 The OPC database contains 5 wills of people who lived in this parish.